How do I know if an incoming call is personal or for business? When you use OpenPhone, you no longer have to guess whether an incoming call is business or personal. You can respond to OpenPhone incoming calls with a professional greeting that makes you look and sound good. So how do you know that a call is for business? 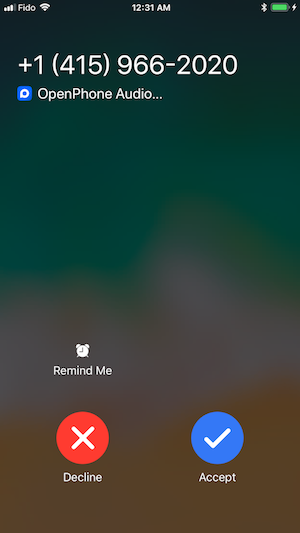 If it's listed as an "OpenPhone Audio" call and includes the OpenPhone app icon. If you have the caller in your address book, you'll see their name as well. Don't have the app yet? Install it today and get started for free.